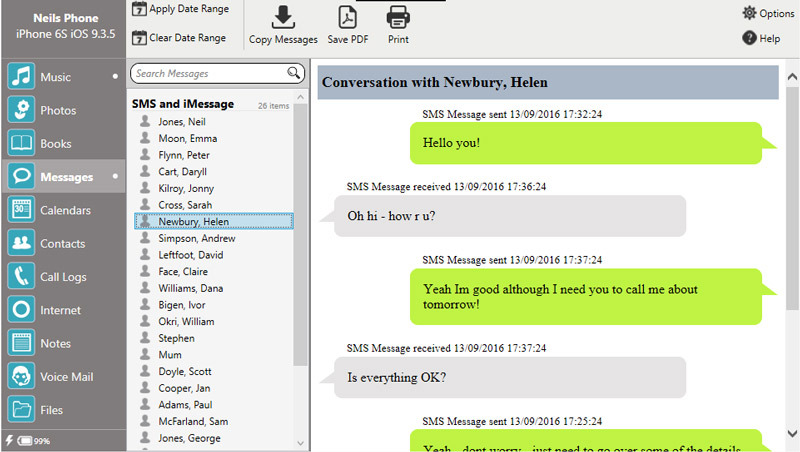 Select the message conversations you want to copy and click "Save PDF". Firstly, you will need to open TouchCopy and connect your iPhone. Once TouchCopy has read your device, navigate to the "Messages" tab on the left hand side of TouchCopy. You can then scroll down the messages to see your different messages, grouped by type. TouchCopy supports SMS, iMessage and WhatsApp. From there you can then select the message that you wish to copy or print by clicking on the name of the contact with whom the conversation is with. 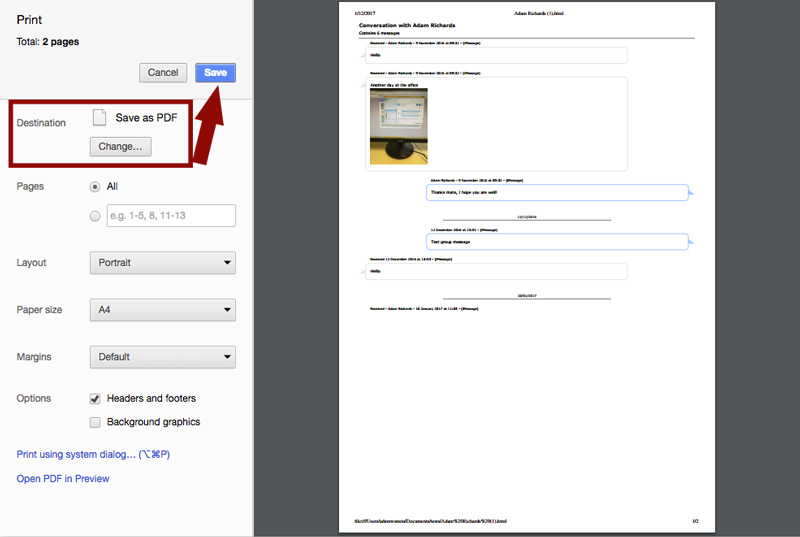 Once a contact or contacts have been selected, please press the "Save as PDF" button at the top of TouchCopy. Finally, TouchCopy will ask where you would like to save your PDF file to on your computer. Please locate where you would like to save to, then hit OK to convert text messages to PDF! If you're having troubles saving a conversation as PDF, listed below are 2 work-around methods for both Windows PC and Mac OSX. Ensure that you have downloaded and installed the latest version of TouchCopy. Select the messages you wish to copy and "Copy Messages"
In the print window, click the dropdown marked "PDF"